Learning math facts has never been so dangerous! 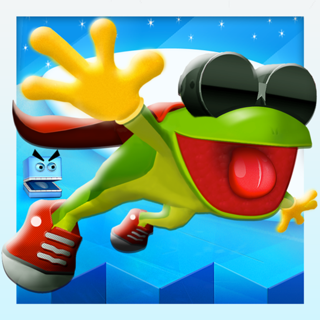 Use your brain and brawn to defeat dragons, goblins, trolls, and many other treacherous beasts. The faster you answer, the stronger your attack. Knowledge is power! 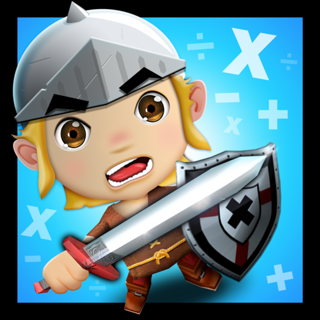 Medieval Math Battle is an educational game appropriate for all elementary and middle school students. With addition, subtraction, multiplication, and division facts to choose from, this game makes learning math facts easy and fun! WHY CHOOSE MEDIEVAL MATH BATTLE? Using a dynamically adjusted difficulty system, Medieval Math Battle keeps players engaged by ensuring problems aren’t too easy or too hard. 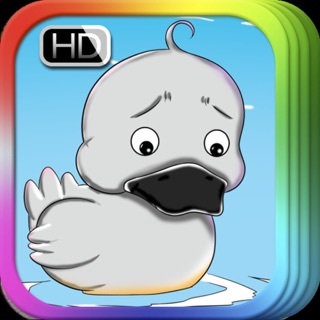 To avoid frustration: If too many math facts are missed in a row, the game reverts back to easier problems or problems that were answered correctly before, keeping players confident and engaged. 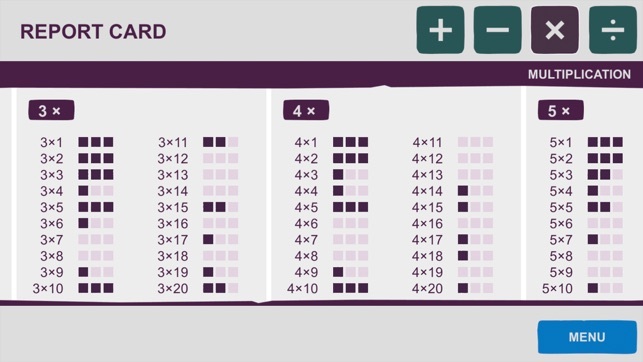 To avoid boredom: if too many math facts are answered correctly in a row, the game shows more difficult problems, keeping players challenged and focused. If a problem is answered incorrectly, that question will be asked again with the answers in a different order. 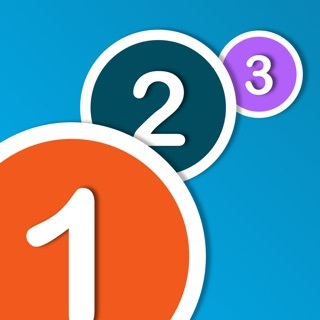 All missed questions are asked up to 3 times in a row to help the player memorize the solution. If a problem is answered correctly 3 times in a row, the math fact won’t be shown again, so player can focus on mastering other math facts. The faster the player chooses the right answer, the more attacks they will get. But even slower players will have a chance to attack and win. 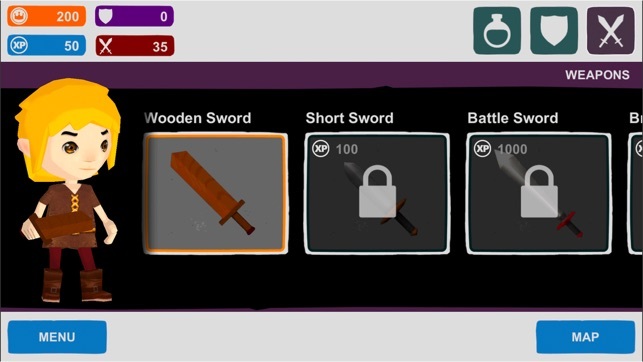 Medieval Math Battle utilizes a progressive rewards system that encourage players to keep coming back to play. They earn XP (experience points) that unlocks new armor, weapons, and potions, and earn gold after every battle so they can buy the new loot and customize their character. As the game progresses, players will need to level up to battle stronger and stronger enemies, which keeps them engaged day after day. Each day players earn a daily bonus for 15 minutes of practice. This give them a target to work towards every day, and they’ll earn extra gold to buy gear in the shop. Check the progress of your player to see which math facts they’ve mastered (and which they still need to work on). Learning multiplication, division, subtraction, and addition can be fun! 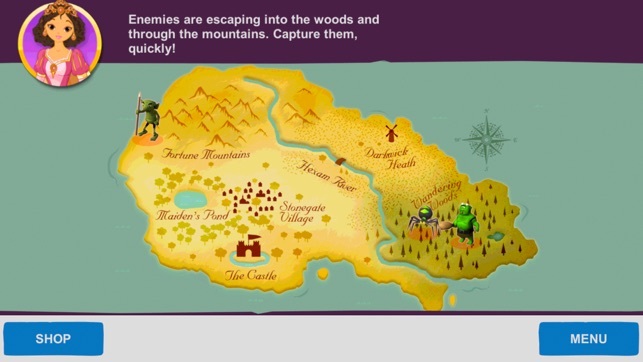 Medieval Math battle is an epic turn based battle game where you’ll have to answer as quickly as you can to defeat all sorts of fantastical bad guys. As an added bonus, you’ll get really fast at math facts, making math class a breeze. And the best part is, your parents and teachers will actually want you to play! Are you an elementary school teacher with an iPad or two in your classroom? 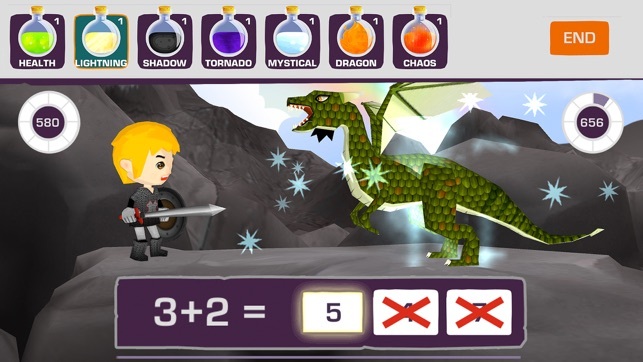 Then show your students Medieval Math Battle - a safe, engaging, and educational math fact app that learns your students current ability level and challenges them to improve. Want them to practice math facts as homework? Remind them to download Medieval Math Battle on home devices, and tell them to play for homework tonight! Take a break from flashcards and worksheets - and have your students play Medieval Math Battle--the game kids agree is the best educational math game! Memorizing math facts, for many children, can be overwhelming and frustrating. 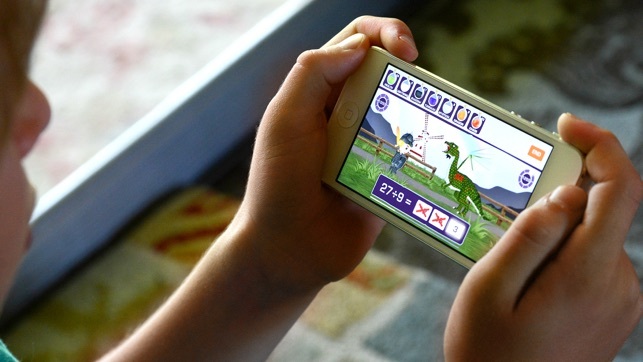 Medieval Math Battle uses algorithms that actually learns your child’s current ability level and challenges them to improve, so children are no longer overwhelmed or frustrated. 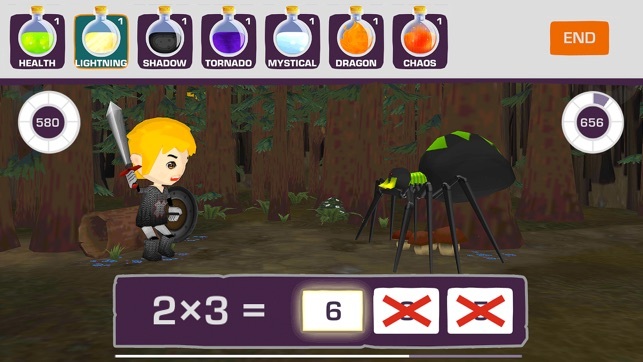 And when learning math facts becomes the only way to save a kingdom from medieval bad guys, your child will be engaged, excited, and will step-up to the challenge with the best math game available for mobile. 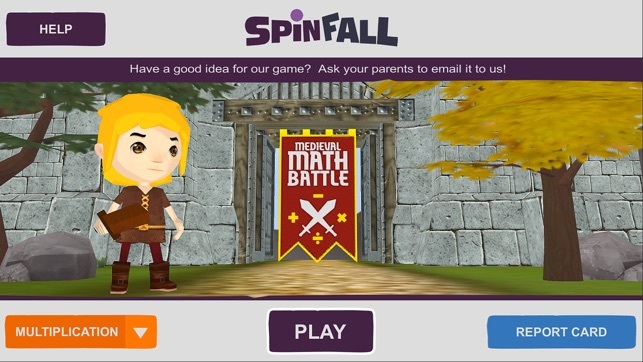 Forget about flashcards - help your kids build confidence in math fact retention with Medieval Math Battle! You need to allow more than one child to play off the same game! If another child plays, they are using the other child's record of math fact mastery, instead of building their own. Only one child can play the program. This also takes you off the shared iPads in a school classroom. Fix please! He'd play for hours if I let him! He's motivated to play because he wants to earn enough points to unlock the next item. Also, it's multiple choice, so he doesn't get frustrated. Great game!